Once you’re pregnant, it’s important to continue to support your pregnancy safely. Keep your feet, low back and your belly warm and covered. Don’t put a heating pad over your belly once you’re pregnant, but do be sure to keep your belly covered. Eat easy-to-digest nourishing foods like soups and stews, cooked veggies, and plenty of protein. Carry healthy protein snacks with you at all times to avoid nausea. KEeping your blood sugar levels stable is healthiest for you and baby. 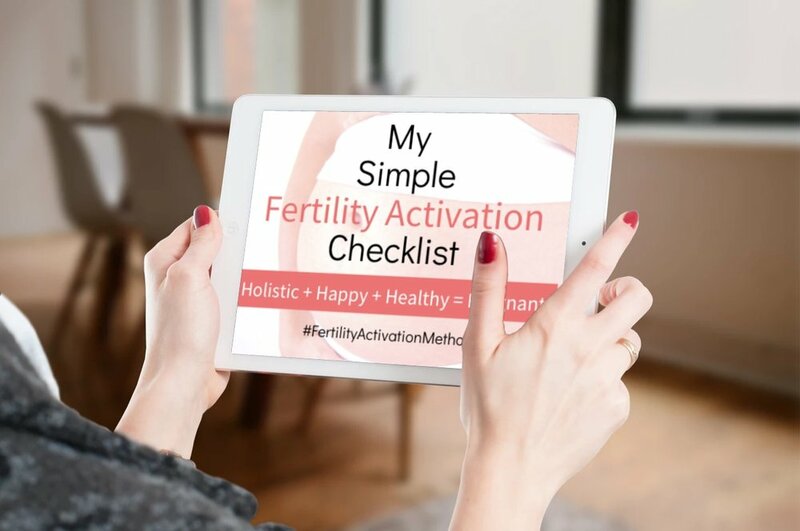 Use fertile pressure point therapy, like the protocols I teach in my online program, Fertility Activation Method™. It’s a safe way to support your pregnancy and relieve uncomfortable symptoms like headaches, nausea, back pain, constipation and more. When you’re pregnant, you don’t want to take medications. Even many natural remedies like essential oils aren’t safe during pregnancy. But self-acupressure is as long as you know the correct points to use. See an acupuncturist regularly throughout your pregnancy. My patients who see me during their pregnancy have less complications, less stress and healthier pregnancies.